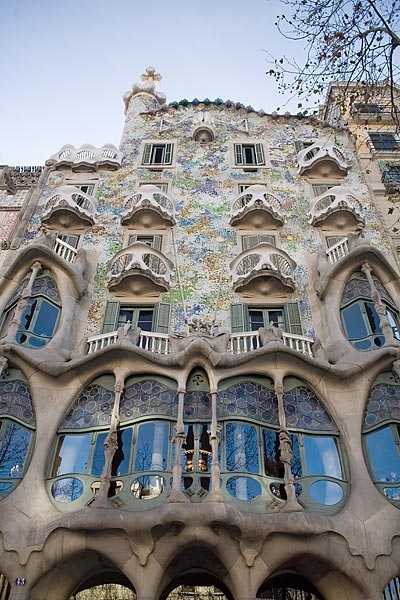 The best possible introduction to Gaudí and his stunning architecture. 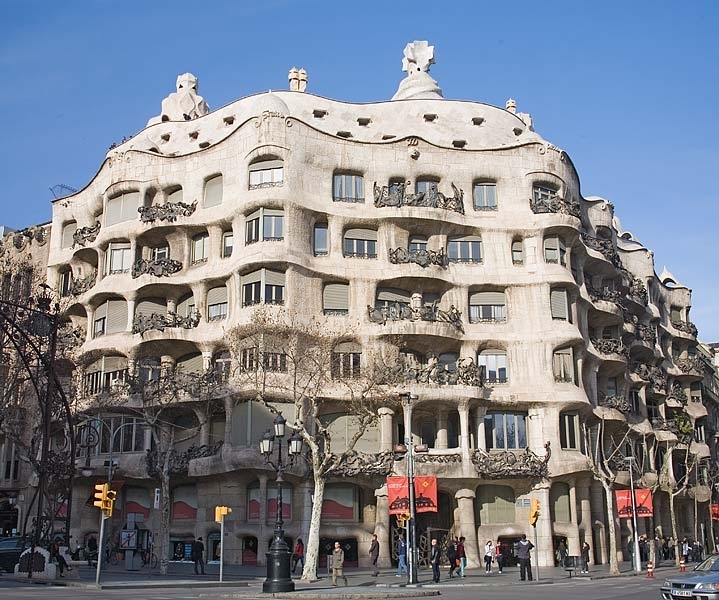 Learn about the life story and unusual techniques of one of the most influential architects while marveling at of his most important buildings in Barcelona. We take the metro twice to cover the long distances between the buildings (fare not included). This is the title given to tours that work on a donation basis. At the end you can give the guide what you felt the tour was worth. In our small company we are confident enough to let you decide the value. 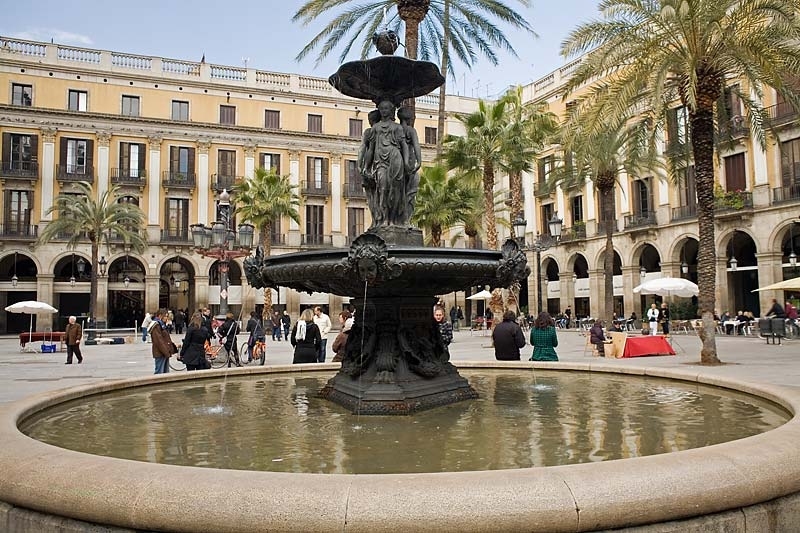 Our friendly guides will be waiting by the fountain in the middle of the square holding a big green umbrella and wearing a bright green vest and a name tag. They will give you a sticker to reserve your place on the tour. 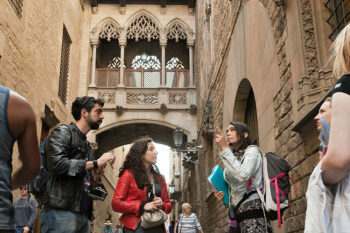 Other Free Tours in Barcelona start at the same meeting point. If you want the quality of a Runner Bean tour be sure it is a Runner Bean guide. 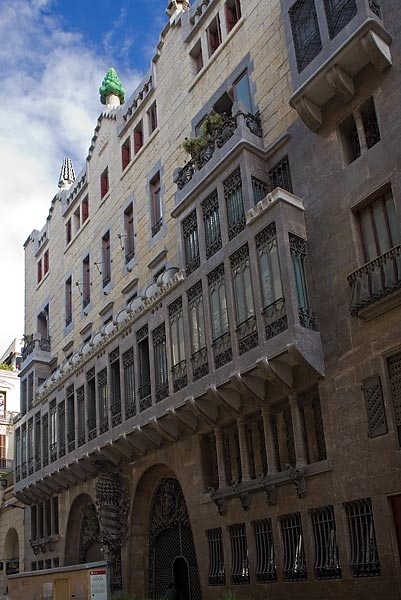 It has been a traditional meeting place in Barcelona since it was built in the XIX century. But this is not the only reason why our tour starts here. A young Gaudí has left some illuminating work in the square. It’s also the meeting point for our Gothic Quarter Free Walking Tour. 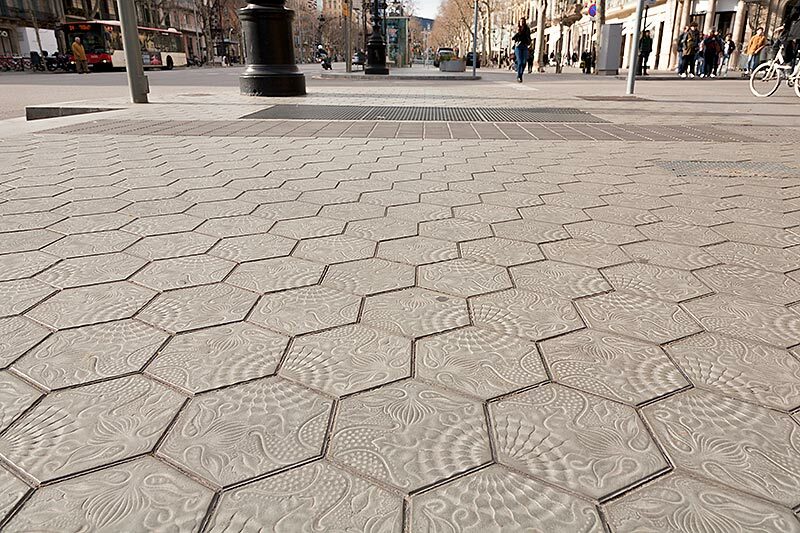 The first project for Gaudí’s patron and his first masterpiece. Situated in the midst of the old city, Palau Güell shines out amongst the surrounding buildings. Find out about Gaudí’s beginnings as an architect and his unusual approach to the design of the house. Three architects compete for the most striking building in the block. 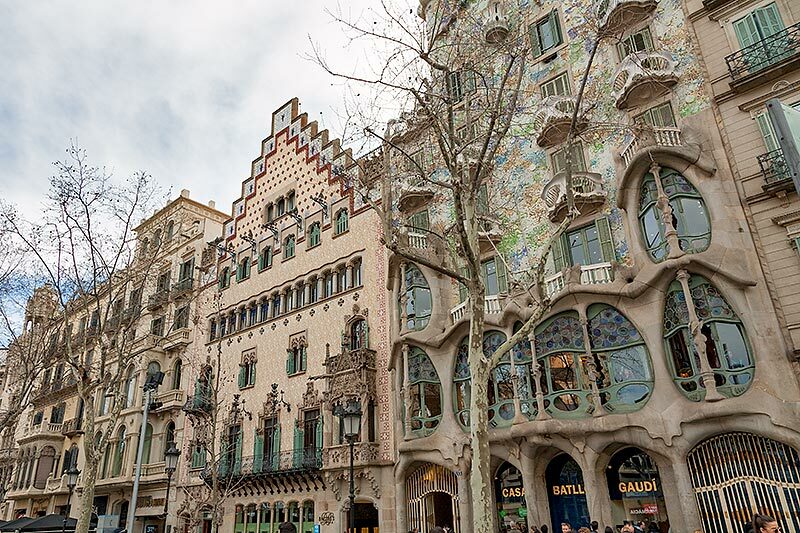 Known as “La Manzana de la Discordia” (Block of Discord) by local Barcelonans, we let you decide which one is your favorite of these architectural masterpieces. It has been called “a fairytale in stone” and “the house of yawns”. Today, nobody doubts that Casa Batlló is the architect’s most magical building. From knights in shining armour to traditional festivals, all is included in Gaudí’s imagination. Designed by Idelfons Cerdà in the middle of the 19th century, the “Example” was the new playground for the bourgeoisie of the time. Here you will find the modern shops and restaurants but also the great masterpieces of the “Modernisme” architecture. Gaudí’s masterpiece. A raw sculpture carved and moulded into Passeig de Gràcia. Offensive at the time, abandoned to its destiny and recovered to its grandeur, Casa Milà was a very troubled commission that included not only fights and court cases but also a few subtle acts of vengeance by its creator. The unfinished temple, Gaudí’s obsession and the symbol of a city. The Sagrada Famila is like a storybook that is missing many pages. Find out about the temple’s past, present and future and hear about the architect’s tragic end. Our tour finishes here with the hope that someday you’ll see Gaudí’s dream realised. 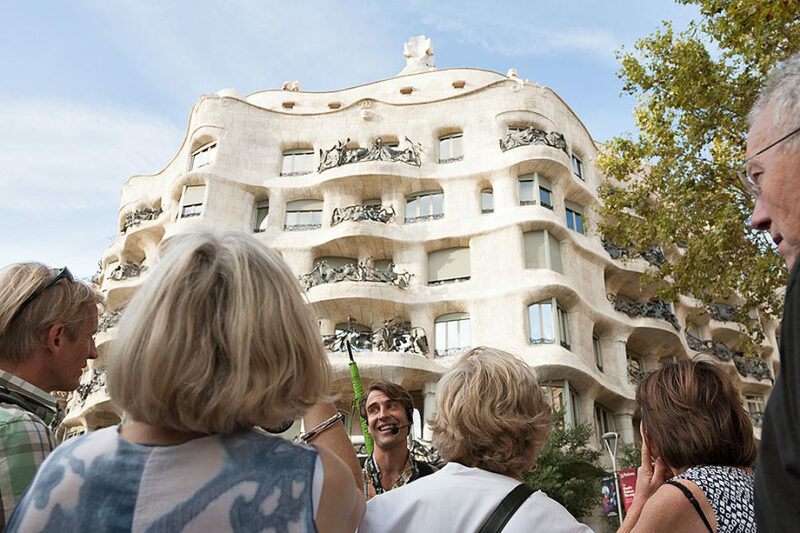 Reservations for the Free Gaudí Tour Barcelona are not strictly necessary but, in order to maintain the quality, numbers are limited in all our tours. If you have not booked, we recommend arriving at least 20 minutes before the scheduled time to ensure you get a space on the tour of your choice. We don’t ask for your credit card details in order to book a Free Tour. Be aware of websites asking you to do so on a Free Tour reservation. It does not include a visit to the interior of the buildings. Because some of the attractions are quite far apart, two short metro trips will be involved (fare not included). If you can, please bring a metro pass. A T-10 pass (€10.20) gives you 10 trips and can be shared while a single ticket costs €2.20. 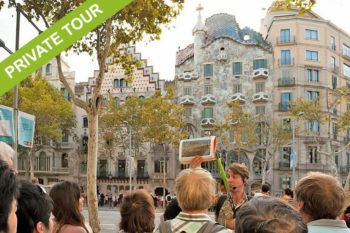 Our Free Walking Tours are geared towards independent travelers. If you are a group of more than 6 people please contact us for more information. This is the title given to tours that work on a donation basis (at the end you can give the guide what you felt the tour was worth). In our small company we are confident enough to let you decide the value of the tour. You can not get a fairer system and this ensures that our guides give their best service every tour. Do I need to make a reservation for the free tours? Reservations are not strictly necessary but recommended as numbers are limited for quality purposes. If you haven't booked, we strongly recommend arriving to the meeting point early in case the tour fills in. If you are a large group of 7 or more you will need to book a private tour. Usually there are spaces left and there is no problem joining the tour later. Please bear in mind that we can only hold reservations until the starting time so it is very important to arrive before then. Occasionally a tour might be full and late arrivals won’t be able to join in. This also includes customers with a reservation as their space will have been given away to the people on the waiting list. Do we visit the interior of the monuments? No. This is an introduction to Gaudí's life and architecture. We see the outside of the buildings and you can choose which one to visit later in your own time. Your guide can help you with opening times and recommendations. If you are interested in visiting the interior of the buildings with a guide, we do offer private tours. Not really. As long as you can do a short stroll around a city you are ready to walk a Runner Bean tour. Because some of the attractions are quite far apart, two short metro trips will be involved (fare not included). If you can, please bring a metro pass. Yes. Please let your guide know at the beginning of the tour so he/she can show you the lifts at the two metro stations. During the summer it can get very hot so don't forget your sunglasses, sun-tan lotion and a bottle of water. 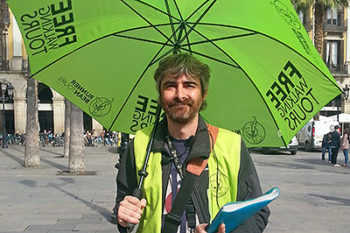 Although the temperatures in Barcelona are mild for most of the year, in winter it can be cold so dress accordingly. Can I leave before the tour ends? That is not a problem but please let your guide know so he/she doesn't wait for you at the next stop. We generally stop for a quick toilet break (5 minutes or so). The tour is not too long so we think that a food or drink stop is not necessary and you can decide where you would like to go afterwards. Your guide will be more than happy to help you with recommendations.